I’m probably around two weeks late with this one, but my Friday Favourite this week is the Zara online sale. I’d managed to avoid the sales and maintain a semi-healthy bank balance throughout January until Jaz casually mentioned a pair of Zara sale boots she had her eye on. There were several items, mostly trousers, that I’d had my eye on since pre-Christmas, so decided it was worth a look. After half an hour of scrolling through the whole site I checked out with three pairs of trousers and a skirt, and the old notion “I’ll probably return at least one thing”… I haven’t, I love it all! 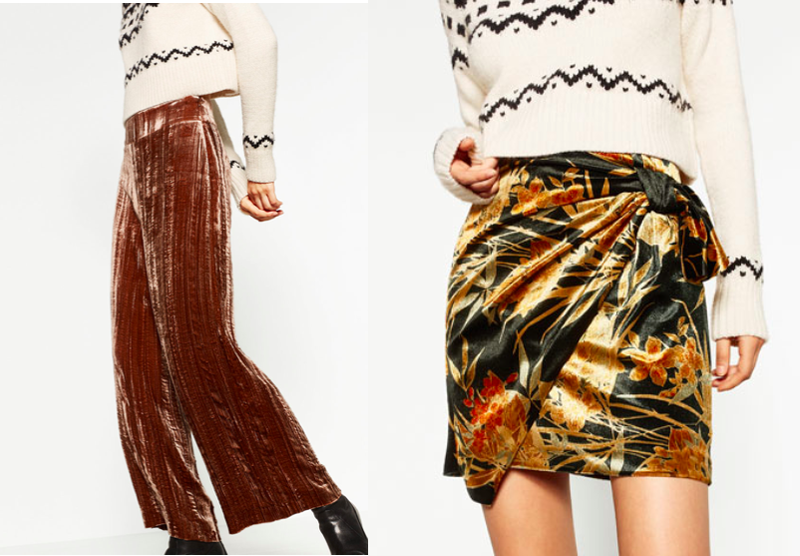 There are some genuinely good bargains to be had in the Zara sale, including a pair of £59.99 velvet culottes that I couldn’t justify before Christmas, now £12.99 and some £9.99 faux leather trousers, and I can’t wait to wear my bottle green velvet skirt with black tights and ankle boots. If you haven’t already, I definitely recommend having a rummage. 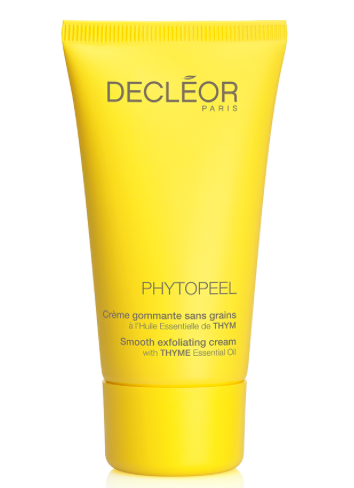 This week my Friday favourite goes to Decleor’s Phytopeel exfoliating cream – my skin has felt like it has needed a lift recently and every so often I turn to this trusty product for exactly that. It’s a soft cream formula which smells amazing, and looks nice and shimmery too! The product smooths the outer layer of skin removing any dead skin cells, meaning it’s a great one to use after a night out, and as it gently absorbs and illuminates impurities without using any harsh exfoliating particles, it’s one of the most natural ways to clean your skin. It leaves my skin feeling fresh, smooth and clean and at £28.50 for 50ml it doesn’t come cheap, but is really worth it – it’s one of my favourite Decleor products. With Blue Monday having occurred this week, it’s fitting that my current obsession seems to be royal blue (as in, the colour)! Whilst shopping for a friend’s gift earlier this week, I came across the revamped cosmetic area in New Look and spotted this Matte Royal Blue polish with a copper top and I instantly forgot who I was shopping for! While I’m not a huge makeup enthusiast, I love having fun and vibrant nail polishes and with it being just £2.99 for the bottle, I’ve got my eyes on another colour already. Keeping up with the Royal Blue theme, I visited the Tate Liverpool recently to see the Yves Klein exhibition and observing his most notable works such as the range of IKB (International Klein Blue) shades in person felt like Christmas to me! All pieces of his work interested me so much I wanted to steal one to hang on my wall! This week’s Friday favourite goes to another of my Christmas presents, this gorgeous Abbott Lyon watch. I’ve been after a silver watch for ages as my usual one is rose gold, so that I can mix up my jewellery a bit more. 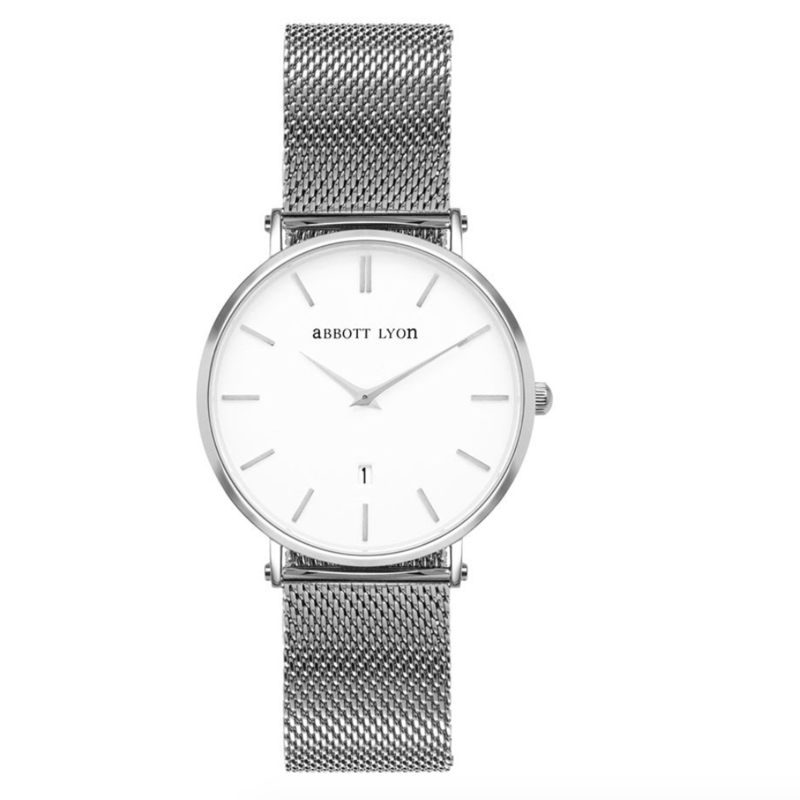 I’m always lusting after the wrist wear on Abbott Lyon’s Instagram feed, so after scouring their website last month I fell in love with this style. It has an oversized, masculine face which I love, teamed with a wide silver chain strap, making it the perfect combination of chunky yet elegant. I love it teamed with my ever-growing collection of silver bangles and rings – I don’t think it’s been off my wrist since the Christmas holidays! 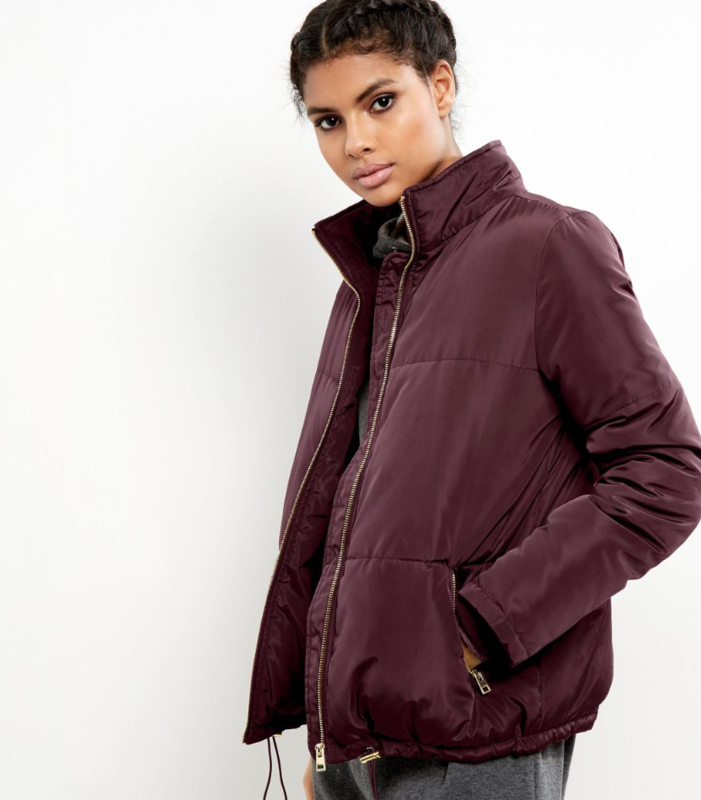 Following on from both Amanda and Melissa, my Friday fave this week is my new puffa jacket from New Look (yes, we’re all wearing them at Avant PR HQ, in various colour ways!). I first spotted it on gorgeous blogger Peexo’s Instagram page and knew from that moment that I needed it – despite it being way out of my black/grey/navy comfort zone. Luckily for me, it was in the sale, so I snapped it up for the bargain price of £18 (don’t confuse it with this one, which looks exactly the same but is still full price)! I’ve worn it so far with black skinny jeans, this burgundy ASOS jumper and ankle boots (and other variations of the jeans and jumper combo) but it would also look really nice on a casual day with cropped jeans and trainers. I don’t imagine it’s a wardrobe classic that will hang around for decades, but I’m certainly loving it right now!